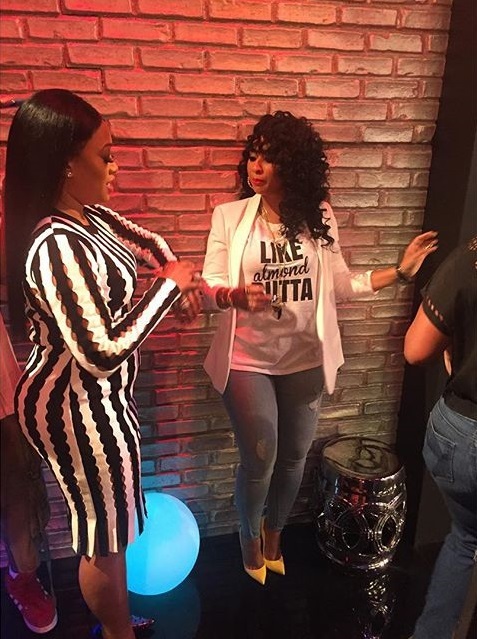 On Monday, Tammy Rivera appeared on LHHATL After Party Live with host, Big Tigger and Trina. Waka Flocka wife, Tammy wore the cutest graphic loose tee that read: "Like Almond Butter" by:Sub_Urban Riot" ($44). She completed her chic fashion assemble with a white blazer, distressed denim jeans, accessories and (bright yellow) heels. This Baltimore Beauty defiantly has style you should follow!